Eva is an Associate in the dispute resolution practice group and specialises in arbitration, banking & commercial litigation and insolvency proceedings. She has advised clients from various target sectors including the financial services and public sector. Eva recently advised a leading commercial bank on the enforcement of third-party securities under the Insolvency Act,2015. She also advised an oil company on its prospective claim against the National Land Commission for denial of fair administrative action under the Constitution on its compulsory acquisition of the oil company's land. Eva holds a Bachelor of Laws (LLB) from Moi University and a Diploma in Law from the Kenya School of Law. Part of a team that advised a bank on enforcement of third-party securities under the Insolvency Act, 2015. Assisted in giving Kenya law advice and representing a Canadian based energy company as co-counsel in the International Centre for Settlement of Investment Disputes proceedings brought against the Kenyan Government in respect of the unlawful revocation of the company’s geothermal licence. Part of a team that advised an oil company on its prospective claim against the National Land Commission for denial of fair administrative action under the Constitution in its compulsory acquisition of the oil company’s land. 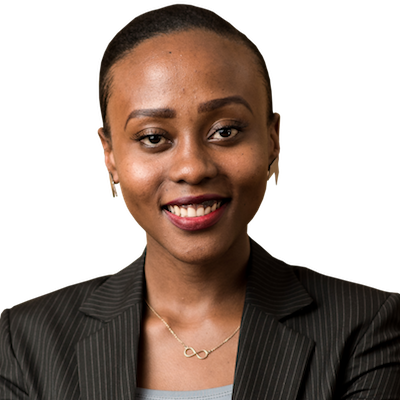 Part of a team that advised an international tobacco processing company and its Kenyan subsidiary on their prospective claim for fraud and negligence against individuals in its employment. Part of the team that represented a regional bank in arbitration at the International Chamber of Commerce in a dispute involving the project financing that saw the beneficiaries of the finance object to a second loan that was granted by the bank without the authority of the company’s shareholders. Part of a team that advised an international agricultural equipment company on registration of securities under the Movable Property Security Rights Act, 2017.